Sometimes, in order to move forward, you have to take a step backward. This can be a hard step to take, especially when others will be affected. But if the end result hits the mark, the temporary pain can be worth it. That's what Apple did this year with its three “office productivity” flagship applications. The suite formerly known as iWork. Along with the overhaul of iOS and release of OS X Mavericks (10.9), the iconic hardware company made major change to Pages, Numbers, and Keynote. Whether you like Apple or not, you have to admire the amount of work they completed this year with both their hardware and software. Claims this year that nothing much was happening are laughable in hindsight. The branding of these apps could be included here as well. 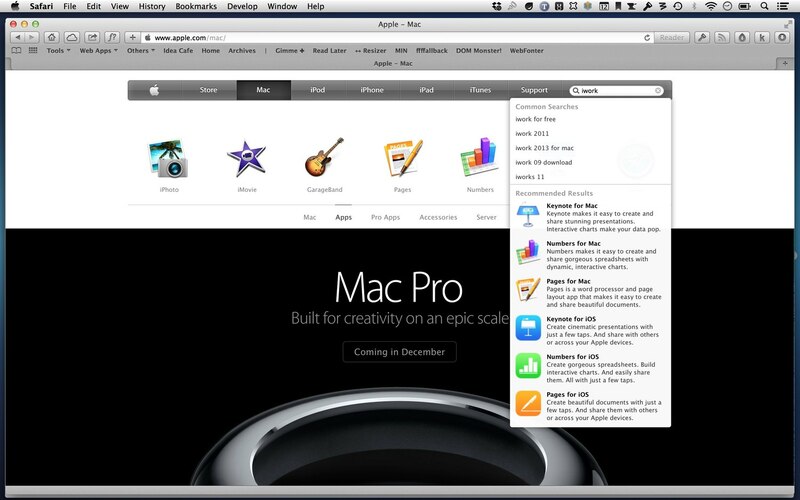 Gone is almost all mention of iWork from the Apple site. Older support documentation still mentions the name, but most references are the three separate application names. People are still searching for the name, but Apple is removing it from their marketing. I have to start by mentioning that I am no power user when it comes to these types of applications. I do not create large spreadsheets performing complicated calculations. Nor do I create a lot of presentations. 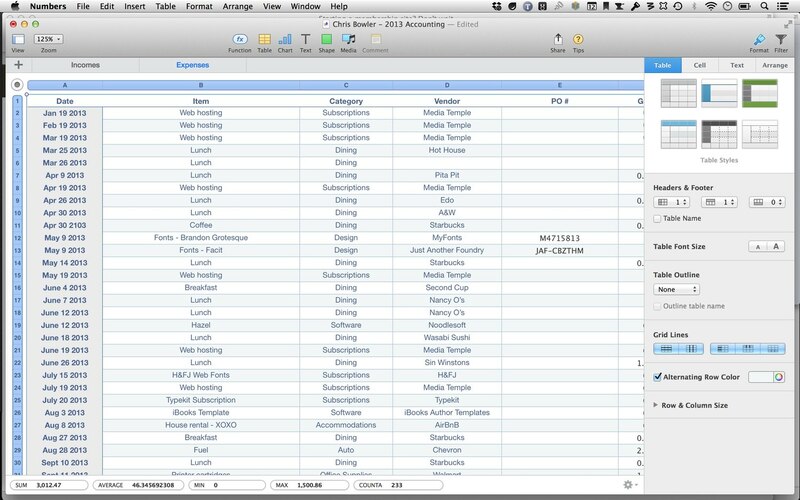 I mostly create several spreadsheets a year for things like budgeting and personal accounting, along with a good number of Pages documents for church related activities. Because of this, the changes that Apple made to the features available in these three applications was barely noticeable for me. A power user would be much more affected. And from the complaints voiced this fall, it's clear there are some people out there for which this was an inconvenience. But I wonder if those numbers were relatively small. Apple has made similar moves with some of their other software, even their "Pro" applications. They are a company who are not afraid to make some moves that bring short term criticism, but (hopefully) result in profits over the long haul. So far, despite missteps like Ping, they've been more right than wrong. The changes to their productivity applications will bring the same results. Just as most normal people are flocking to iPads because they don't need a lot of the abilities (and complexities) that a laptop provides, I'm guessing most people won't notice the lack of power features in Pages, Numbers, and Keynote. What has struck me the most is the improvement of the interface. The changes are indeed refined. Overall, it's a similar look and feel, but a more enjoyable experience. Specifically, gone are the annoying modal windows, replaced by a nicer Format drawer within the primary document window. The tool bar is consistent across all three applications for OS X, aside from a couple of application specific options. Although I only use a couple of Numbers documents per year, I use them a lot. The small changes to the interface here have added up to more enjoyable, efficient experience. It's hard to put the change into words … polish is the best description I can use. When it comes to software, I like polish. A lot! 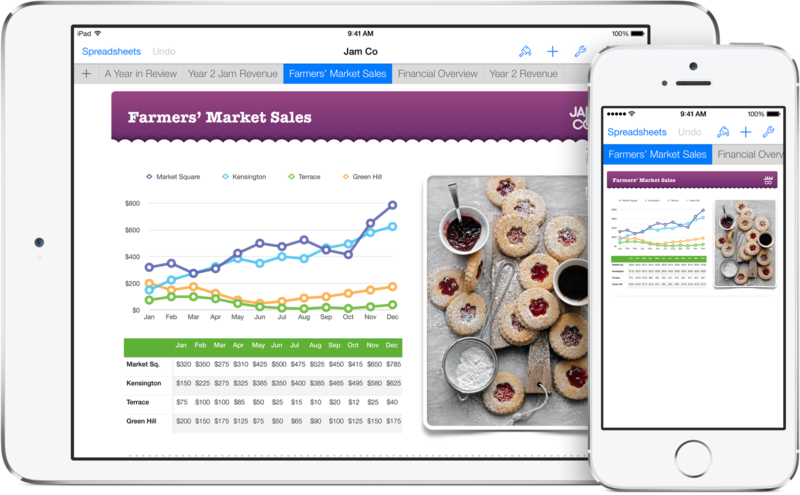 If you take the look of Pages, Numbers and Keynote on iOS versus OS X, they look different. And with the different hardware devices in use, that makes sense. But what is consistent across the two operating system is the consistency of the three apps themselves. The toolbar for each application on iOS is the same. The colour is different, but the locations of buttons, the buttons themselves, and the features they provide are similar. As well, the location of the buttons on both OS X and iOS are mostly consistent. The Format button, represented by a paintbrush icon in all nine versions (desktop, iPhone, iPad), is located on the right side of the toolbar. The user will not mistake a desktop version of these applications for the mobile version. But neither will they find themselves confused when switching between the versions of the applications. The consistency in the structure and the interface are enough for that be a non-issue. I'm calling these changes a success for Apple. I felt that way moments after opening the new version and almost two months later, that feeling has not changed. I know well the frustration of having a feature you rely on be removed by a developer, so others may not agree with my assessment. Hopefully Apple follows through on the promise to bring back some of the removed features over time. Either way though, the improvements to these three applications will have mass appeal and meet the needs of the average person, something that Apple has excelled at.